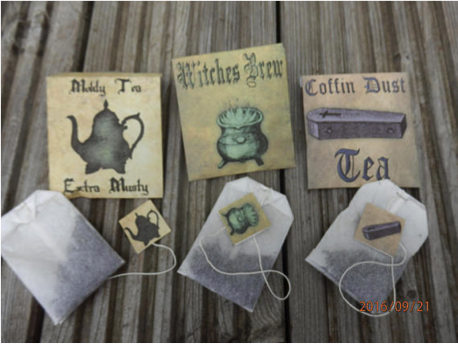 These tea bags made by Pearly Pants Crafts are the perfect favor to hand out to trick-or-treaters. 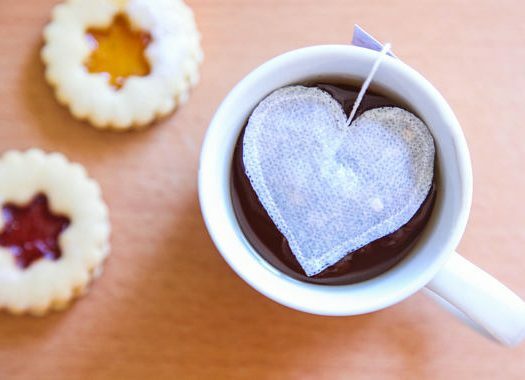 Get kids started on a healthy tea-drinking habit early by giving these out! 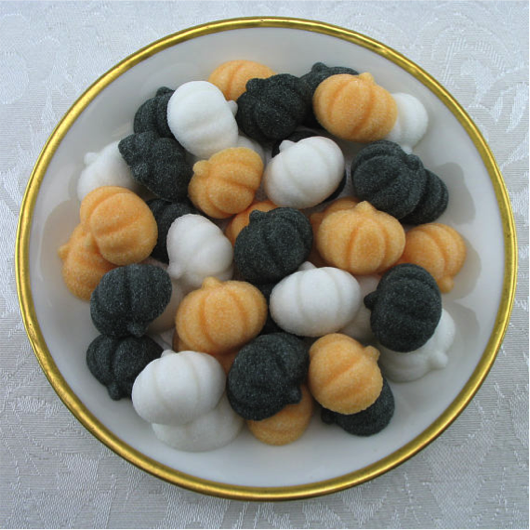 These adorable pumpkin-shaped sugar cubes from Sugars By Sharon make a great companion piece to a Halloween tea bag. 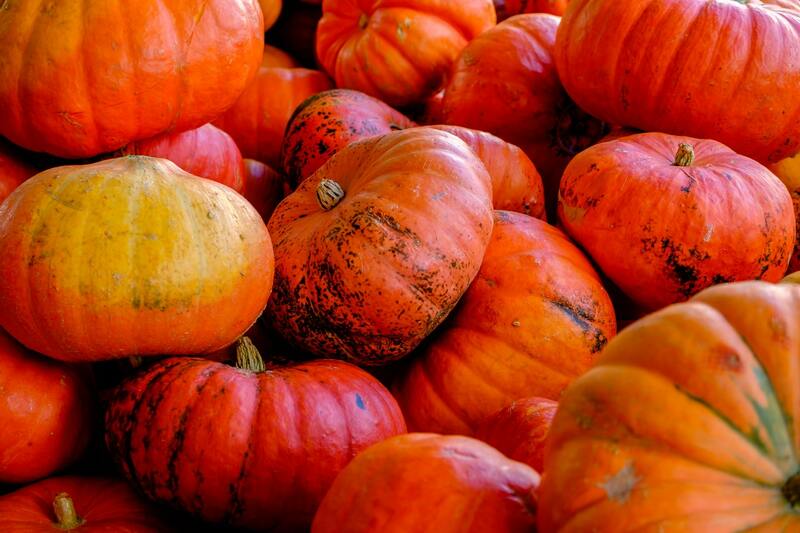 These pumpkin sugars are made from verified non-GMO pure cane sugar, water, and food coloring, so they’re perfect if you’re the picky parent or you’re catering to one. 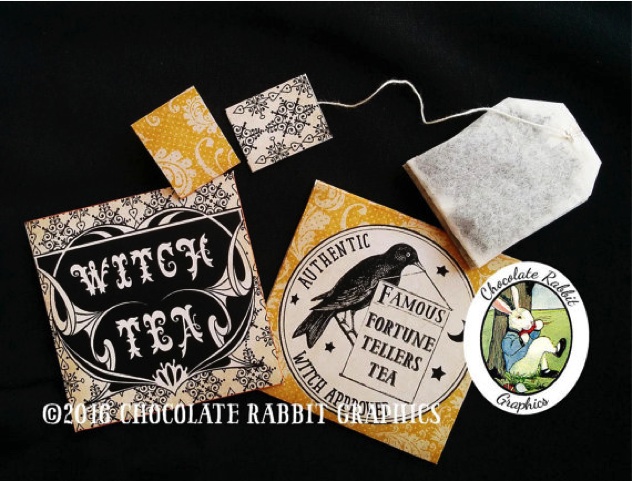 These print-at-home tea bag covers from Chocolate Rabbit will dress up any tea bag in your closet, transforming it into a unique, healthy Halloween treat. Simply print, cut, and fold around your tea bags for a fun, easy activity that your kids can help with before Trick or Treating. This skull infuser from Fred & Friends will make any at-home brewing experience feel like Halloween. 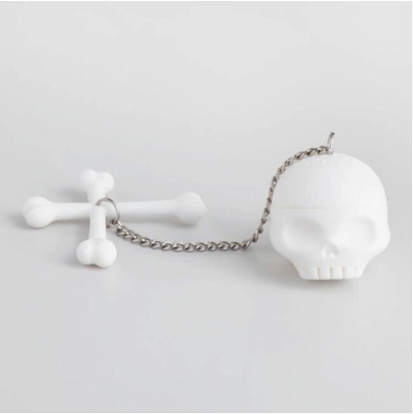 Put a few of these infusers in your treat bowl to give kids a plethora of spooky teatimes. 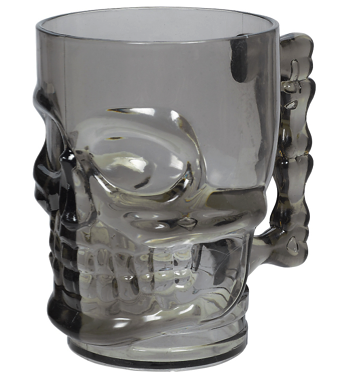 Stock up on these skull mugs from Party City to give trick-or-treaters a spooky mug from which to drink tea all winter long. 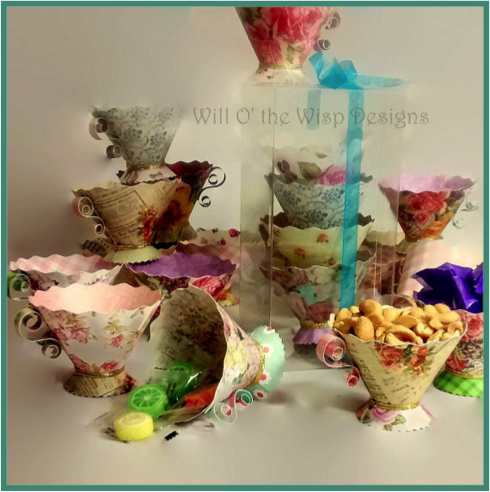 These elegant paper teacups from WillOtheWispWedding will make a great addition to your treat bowl. These pretty items are handmade from card stock, glue, and gold metallic ribbon. Hand out these charms from Wholesale Corner for necklace-making to trick-or-treaters. 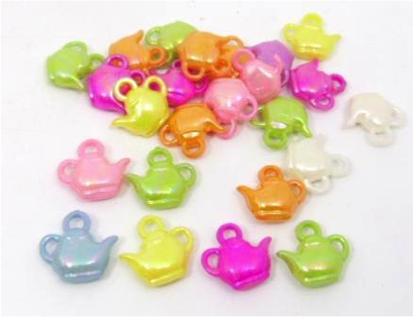 These vibrantly colored teapot charms are eye-catching and cute, perfect for the princesses and fairies knocking on your door this Halloween. This well-known treat in Japan has made its way stateside, so pick up a few boxes to give away this Halloween. This snack coats a cookie biscuit stick with a green tea cream for a treat that’s light, flavorful, and crunchy. 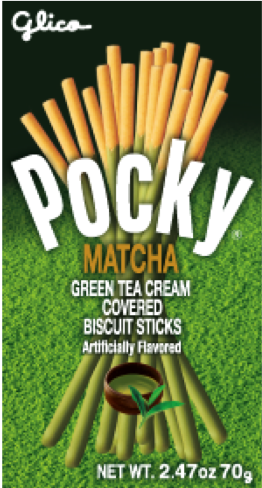 Introduce kids to the wonderful flavors of green tea in a candy-like form with these Pocky sticks, available at Target. 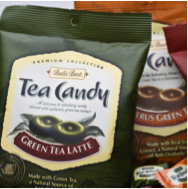 Give trick-or-treaters what they want—candy—with a dose of tea by handing out these green tea hard candies from Bali’s. 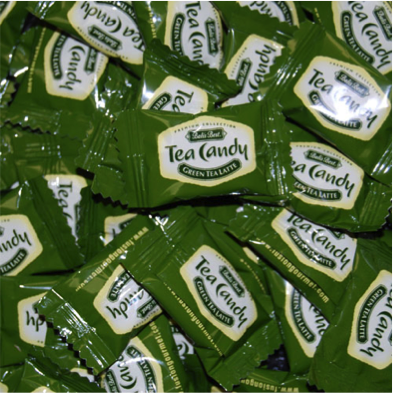 Individually wrapped candies contain tea extract and natural green tea flavor. Buy in bulk, or go for a variety pack that includes three flavors: Green Tea Latte, Citrus Green Tea, and Classic Iced Tea. 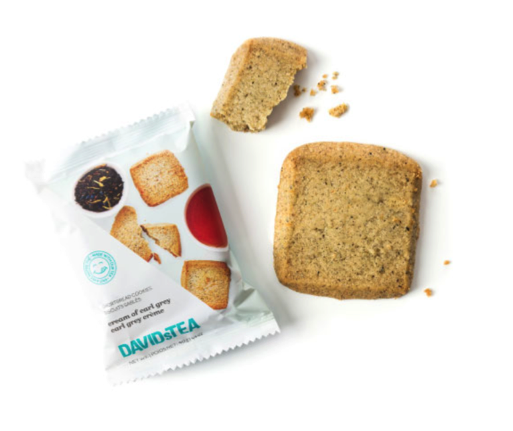 These cookies from DAVIDs TEA will be a unique addition to any trick-or-treater’s candy bag. Each package contains two shortbread cookies that have been infused with Cream of Earl Grey tea, combining black tea and vanilla for a delicious take on the cookie.